LOS ANGELES -- Authorities said at least six people were wounded in a shooting Saturday afternoon, CBS Los Angeles reports. None of the injuries is believed to be life-threatening. CBS Los Angeles was over the scene just after 3:30 p.m. when officials said the shots rang out. 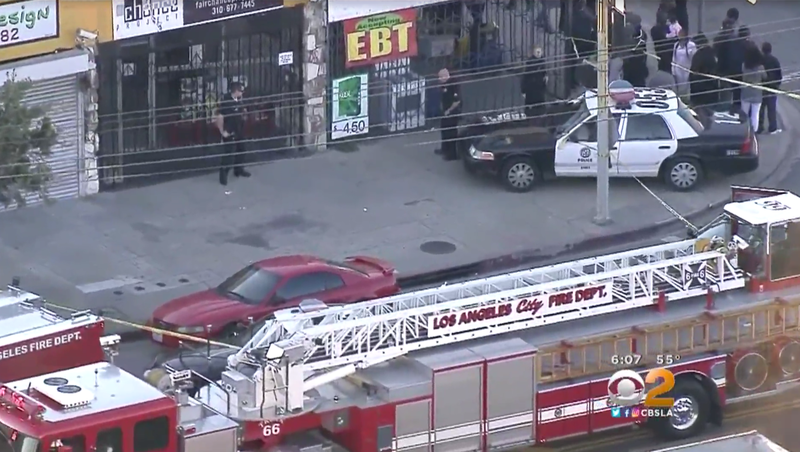 A fight during a party inside an empty storefront apparently spilled out into the street when the gunman started shooting in South Los Angeles. Six people were taken to a nearby hospital. The LAPD says the gunman is still at large.